Guest post by Lior Levine who works for MA in security program in Tel Aviv University, and also advises for their MA in Political Science program. Out-of-the-box LinkedIn profiles are relatively search engine friendly but to get the most out of your profile you need to put a little more work into it. Don’t worry it’s nothing too technical and you won’t need a Degree in the dark arts of search engine optimization to make your profile a whole lot more SEO friendly. The following 8 tips are more than enough to get you moving in the right direction. You can blog on LinkedIn and you should blog on LinkedIn. Google loves blogs as it stands and it adores blogs that are updated on a regular basis with lots of useful and unique content. Now that doesn’t mean you need to update your blog twice per day (although if you did that would be awesome in terms of SEO) but if you can post something new once per day you’re ahead of 90% of the LinkedIn posse. Stuck for blogging ideas? Checkout some of the better blogging tips by Shabbir. The search engines will scan through your profile and what you’ve written there does matter. You need to find the keywords that best represent either your skills or the services provided by your company and include them in the content on your profile. Try to avoid what’s called keyword stuffing where you try to force keywords into your profile in an unnatural way – just sprinkle the relevant keywords around into your content and you’ll see the benefits in short order. LinkedIn provides you with a dynamic URL which means that instead of containing keywords or relevant information about you it is simply a string of numbers which has almost zero SEO benefit. All you need to do to change this is go to Profile -> Edit Profile and look for your Public Profile link on that page and click on the Edit button just beside that and then click on Customize Your Public Profile URL on the right hand side of that screen. And hey presto now you can add some relevant keywords to your LinkedIn profile URL. Join groups that are related to your industry and participate in them – having the name of the group associated with your profile won’t do any harm. Plus you’ll find useful keywords in these groups to include in your profile content. It’s a win-win for you either way. Answering questions for other users on LinkedIn gives you the opportunity to provide a link back to your profile. Could search engines like Google simply filter these links out? Of course! Do they? Well nobody is certain but every links does help – despite what Google’s official line on that is. The Specialties section in your LinkedIn profile is another ideal place for including keywords because there is a lot of evidence to point to the fact that Google does index this particular part of LinkedIn regularly. Search engines tend to read a page of text from the top down and left to right – the same way a human reads text so you need to make sure your headline includes a number of your main keywords used in a natural way. Again don’t stuff keywords in there – it has to look and sound natural to both human visitors and search engine spiders. 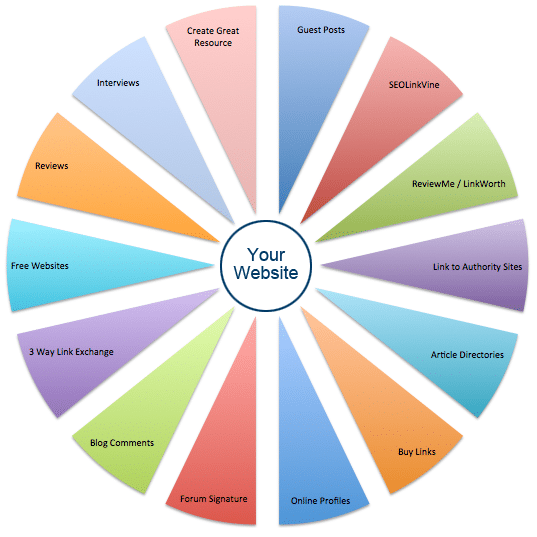 The defaults for the links to your company website or external blog are the usual “My Company”, “My Website” and “My Blog” so why not customize these to include relevant keywords for your sites? LinkedIn has a lot of Google TrustRank so these links will count in SEO terms. You can get a whole lot of SEO benefit for just spending maybe an hour or two tweaking your LinkedIn profile and from where we stand it’s a very worthwhile effort to make. This is really good advice, most people donâ€™t realize how effective and important a good LinkedIn profile can be for your career and career search! Dear shabbir, I want to create a website/blog like you. How can I do so? Where to start. Thank you for your advice. How about my offering of Free WordPress Installation for you. Thank you for the valuable information. I can optimize my linkedin profile now.